With each passing year, we see a growth in awareness of the plight of the less fortunate, particularly those suffering at the hands of human traffickers. 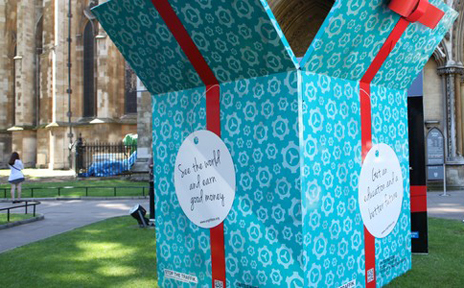 We’ve written posts about the topic of slavery and Human Rights, but recently we came across the GIFT box project that is currently on view at The Cathedral Church of Saint John the Divine in New York City. 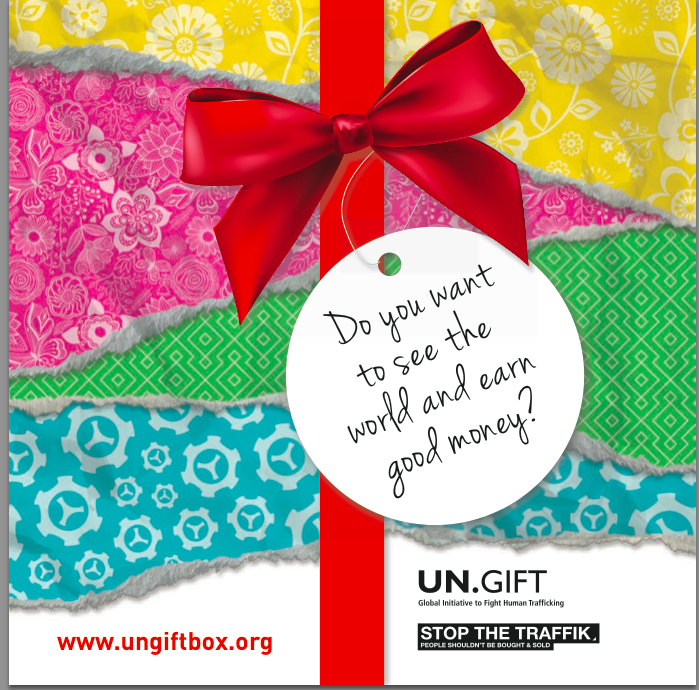 The United Nations Global Initiative to Fight Human Trafficking and STOP THE TRAFFIK worked together to create the GIFT box to raise awareness of the more than 21 million people forced into labor. The GIFT box project was launched during the London 2012 Olympics. 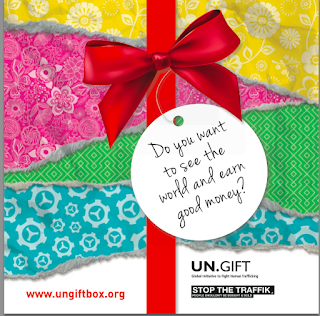 Since that time, STOP THE TRAFFIK partnered with other organizations and governments to build more GIFT boxes around the globe. To date, its journey has introduced over 55,000 people in approximately 100 locations across 6 countries to the issue of human trafficking. At this time of year when gift giving is so much a part of the holiday spirit, it seemed fitting to write about it as we close out the year of 2015 to help this effort. The beautifully wrapped GIFT box on the outside reveals the horrors that plague the victims of human trafficking on the inside. The exterior promises a better life, an education, a good job, and a loving relationship, but the interior presents a very different reality. 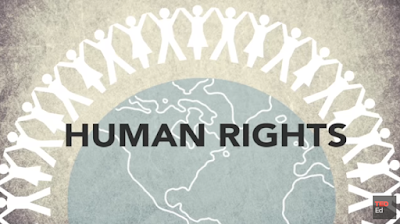 Build human rights into the curricula at your school. The Youth for Human Rights website makes it easy to take any of the 30 principles all individuals are entitled to under The Universal Declaration of Human Rights and incorporate them into a learning environment. 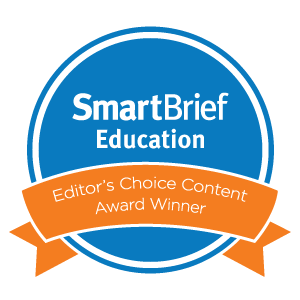 It offers teachers a wealth of resources that can be easily downloaded to use in the classroom. It also provides short video clips for each of the rights. 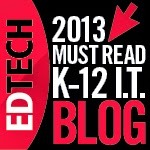 If your school is has a 1:1 program, we encourage educators to use its free app with students. 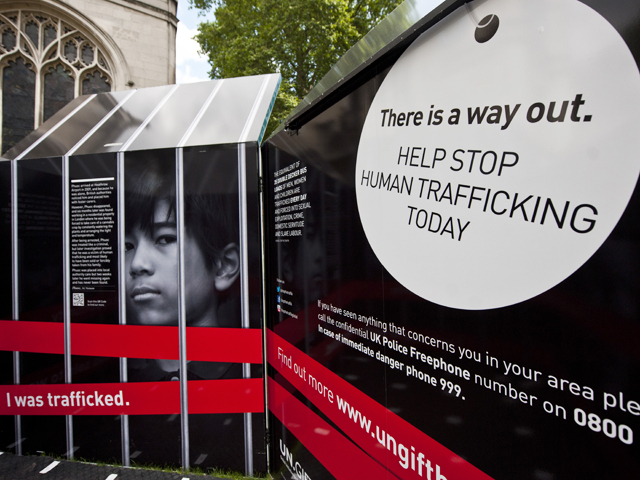 Let’s make 2016 the year we all help to unwrap the dreadful truth about human trafficking. 2015 was a banner year for animations to engage students. 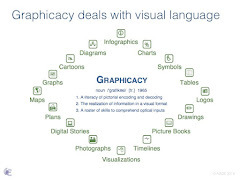 These dynamic explainer videos proved definitively that print textbooks cannot keep up with educational, up-to-date motion graphics, especially in the sciences. The sphere of subjects that fall into STEM's orbit keeps expanding. For better or for worse, K-12 courses are now binarly split into either "STEM" or "Humanities" categories. We would argue that this bifurcation is harmful, erasing the natural overlaps between the sciences and the liberal arts. This lively explainer video from Vox offers a primer in chart theory, as well as a caveat for undiscerning viewers of graphs. Entitled "Shut Up About The Y-Axis. It Shouldn't Always Start At Zero," the clip reminds math students that context is key in both reading and creating data graphics. WWF Brazil - Marine Program from scenes. on Vimeo. 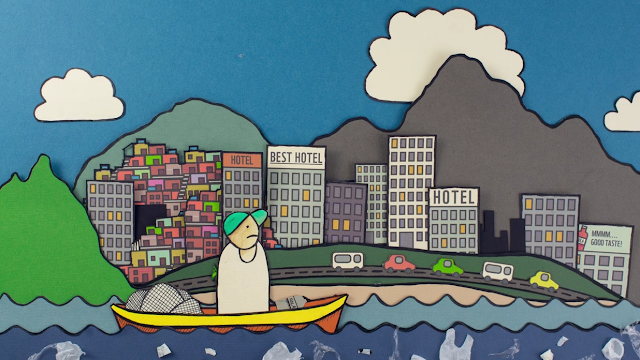 This beautiful stop-motion animation offers a moving case study about the effects of urbanization on pollution. The "WWF Brazil - Marine Program" video, made in collaboration between scenes. and Wildgroeiers, highlights critical issues of conservation and biodiversity for any age group. BBC Earth has designed a clear and compelling motion graphic to emphasize the size of the universe and the speed of earth's galactic travels. The 3D visualization employs time and scale to bring astrophysics to life. 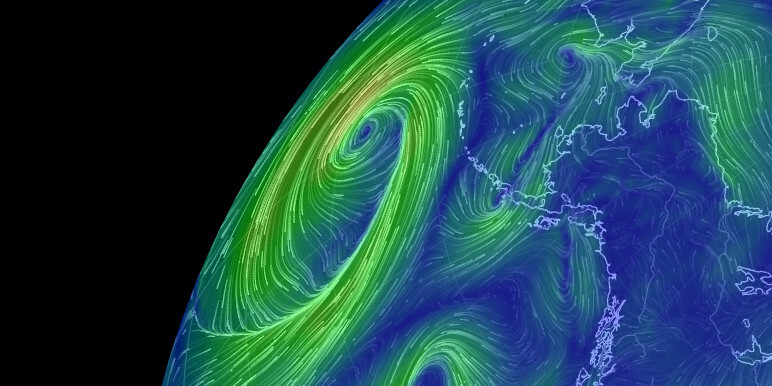 Software engineer Cameron Beccario (@cambecc) has programmed a stunning representation of the earth's weather conditions. With regularly updated ocean currents, waves, temperatures, and anomalies, this interactive globe allows students to zoom in and rotate a la Google Earth. The educational opportunities range from oceanographers analyzing climate change to historians studying ancient trade routes. 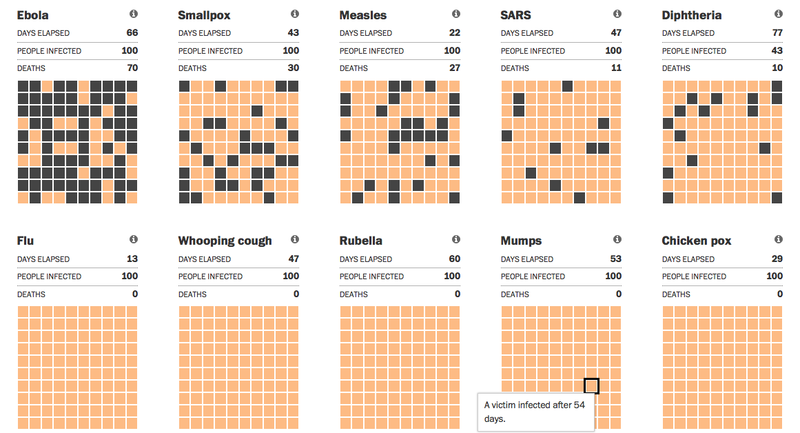 The recent Ebola panic prompted The Washington Post to create this precise simulation that compares the disease's spread to other historical pandemics. 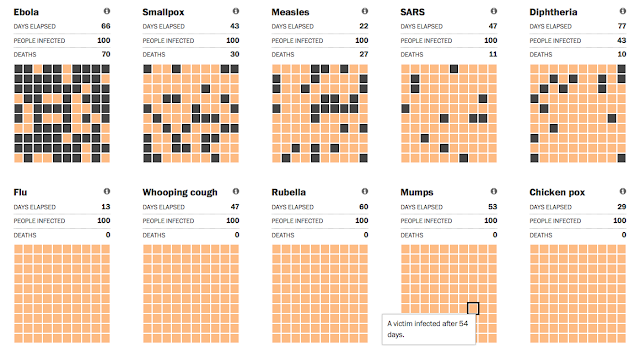 Although the original interactive graphic pre-dates 2015, the updates are important to medical students and social scientists who are trying to track contraction, infection, transmission, and vaccination. This seemingly simple motion graphic by Nature Video brings into startling relief the rate of global deforestation. Researchers made 421,529 separate measurements around the world to produce an irrefutable data-driven image of the changing planet.